World’s biggest Scotch whisky producer Diageo enjoyed a resurgence in sales over the past year, boosted by leading products such as Johnnie Walker, Buchanan’s and Lagavulin. The company, owner of Scotch brands including J&B, The Singleton, White Horse and Bell’s, sold roughly £3bn-worth of Scotch whisky in the 12 months to the end of June 2017, with volumes rising 4% and revenues up 5% in real terms. That represents a notable improvement on the previous year’s results, when Scotch volumes were down 3% and revenues were flat. Growth was spearheaded by global best-selling Scotch whisky brand Johnnie Walker, which reported volumes up 4% and revenues rising 6%, thanks to strong performances in the US, Mexico and Europe. Buchanan’s continued its recent success in the US and Latin America with volume and value growth of 16%, while lower-priced Black & White saw volumes surge up 24%, with revenues rising 16%, thanks largely to success in Latin America. Growth in single malts continued to slow, with volumes up 3% and revenues increasing 2% (versus growth of 8% and 7% respectively in 2016), but malts revenues were up 9% in the US, thanks to the launch of the Singleton brand and good growth for Lagavulin, which celebrated its bicentenary in 2016. 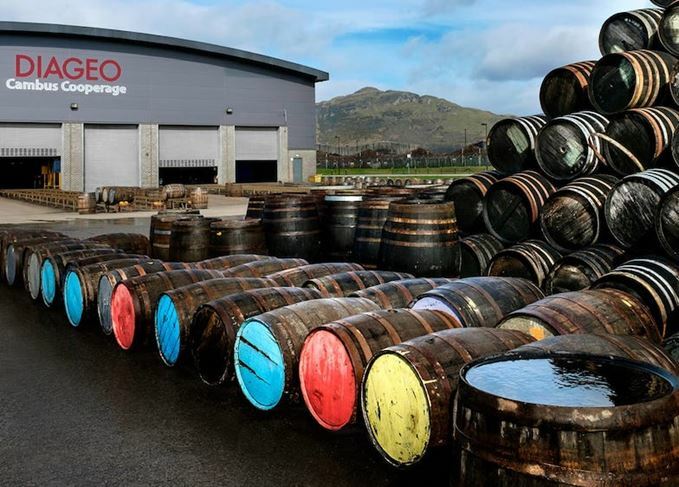 Diageo chief executive Ivan Menezes said he was ‘pleased’ with the progress made in Scotch, which was identified as a key focus area a year ago, with the company expecting the momentum to continue in the months ahead.